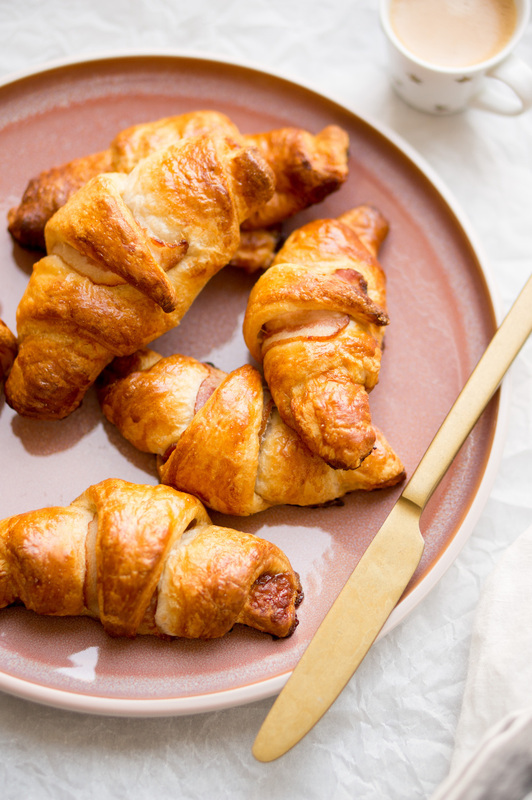 These bacon and syrup croissants are the ideal combination between sweet and savory, and the salt of the bacon is a match made in Culy-heaven with the sweet. And with ready-made croissant dough you can also make them lightning fast. Put a slice of bacon in the length on the dough. Roll up and place on a baking tray lined with baking paper. Brush the croissants with bacon and syrup with some of the beaten egg and slide the plate into the oven. Bake in 10 to 15 minutes until golden and brown. Dip the croissants in some extra syrup if you like.